Remember, the word “estate” doesn’t just refer to large homes or extensive tracts of land. It actually includes an individual’s total assets (i.e., everything of value that individual owns, from songs on iTunes to antiques and art collections) minus liabilities. Most of the time, assets will be passed down to members of a person’s family, but debts and taxes have to be taken out first. But without an estate plan, the court puts an appointee (not your family) in place to handle your assets if you’ve become incapacitated physically or mentally. 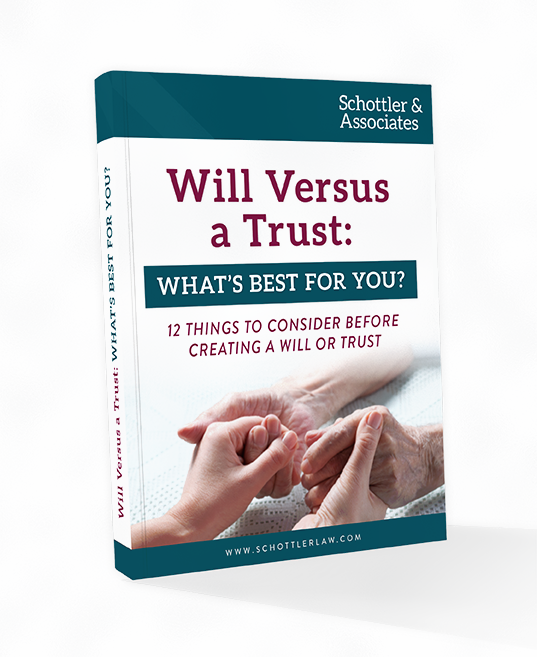 Furthermore, the probate laws will be the only thing that define how your assets are divided at your death, and that may leave a surviving spouse or dependent without enough to live on or receive the care they need. While a surviving spouse would maintain custody of your children, if both parents are dead, the court will appoint one without regard to whom you might have chosen. Quite simply, if you haven’t got the legal documentation in place, your final wishes cannot be known or adhered to. Often, it takes professional legal assistance to understand the instructions and documentation you need to put into place to satisfy the court, appease creditors, and successfully ensure your assets go to the family members or friends in the way you intend them to. Durable medical and financial power of attorney. Provisions for digital assets that cannot be repurchased, re-downloaded, or otherwise recreated. Beneficiary statement for IRAs, 401Ks, etc.. Setting up life estates such as bonds or other investments. Social Security or spousal/survivor benefits. Guardianship and inheritance management for minors or other dependents. Income, gift, and estate tax planning.